There are 3 pages in this publication. 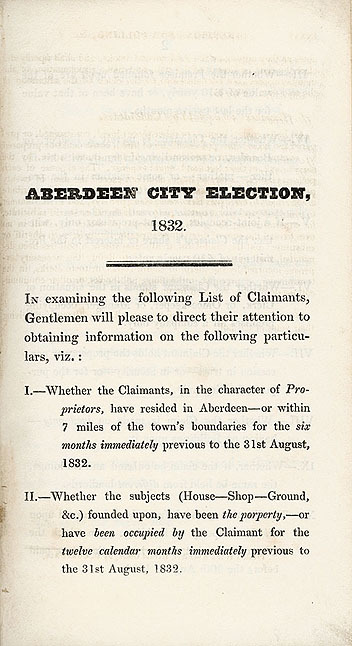 This pamphlet describes the conditions that voters must satisfy if they are to be elegible to vote. Voters must live within seven miles of the city boundaries; property must be worth at least £10 per year. Note how taxes on a property must also be up to date if the owner or tenant is to be allowed to vote.